I am a specialist Obstetrician and Gynaecologist. I offer full Obstetric Care as a Lead Maternity Carer (LMC) and am a Consultant and Operating Gynaecological surgeon for General Gynaecological procedures such as hysterectomies, prolapse surgery, urethral tapes for stress incontinence, and ovarian cysts and colposcopy. I care passionately about the welfare of my patients. My commitment to my role is absolute and my patients enjoy continuity of care, attention to detail, and a wealth of professional understanding, experience and expertise. I continually access a wide range of relevant research, professional knowledge and recent advancements in medicine. As a woman myself I have great empathy with my patients and their needs. It matters to me that women receive quality care. I knew from very young that I wanted to be an Obstetrician and Gynaecologist and I continue to find it a fascinating and rewarding field of work. I graduated from Auckland University School of Medicine in 1981, obtained the MRCOG in 1986, a Doctor of Medicine in 1992 and was made Fellow of the Royal College of Obstetricians and Gynaecologists in 2002. The award of the Fellowship is not merely a reflection of a time interval since passing the Membership examination but it also implies a continued contribution to the specialty and a maintenance of standards and practice. It is a mark of senior status and not a recognition of completion of training. I am a member of RANZCOG and in addition have a Bachelor of Arts. 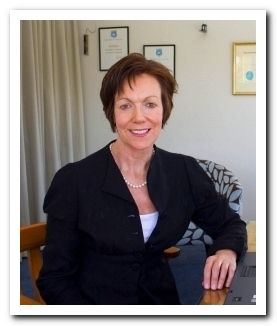 I have practiced Obstetrics and Gynaecology in Auckland since 1994 and regularly attend International Scientific Meetings fulfilling the practicing requirements for RANZCOG. Currently, I am doing a post graduate diploma in Sports and Exercise Medicine through Otago University which interfaces concepts of health and disease. I am an independent reviewer periodically for ACC and coronial cases.